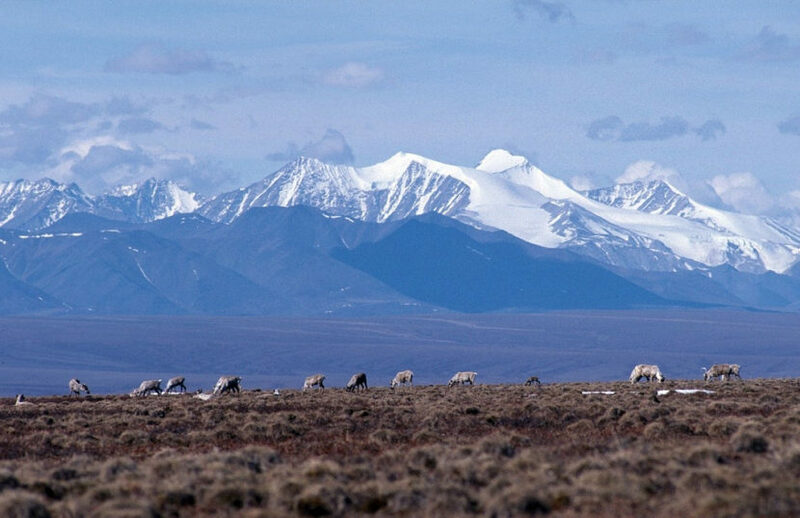 Two Alaska Native corporations are asking the federal government if they can start looking for oil in the Arctic National Wildlife Refuge. Arctic Slope Regional Corporation (ASRC) and Kaktovik Inupiat Corporation have submitted a 3-D seismic exploration plan for the Coastal Plain, or the 1002 area. They partnered with oil exploration company SAExploration. The companies want to begin a substantial exploration program this winter, encompassing the entirety of the biologically rich coastal plain, potentially involving hundreds of workers. The corporations’ permit application was first reported by the Washington Post. The Post also reports that Interior’s Fish and Wildlife Service responded by saying the plan, as currently submitted, is “not adequate” because it didn’t include proper studies on environmental impacts. But after speaking at an oil conference in Anchorage on Thursday, top Interior official Joe Balash confirmed the agency is still considering the plan. Balash says a key thing Interior will consider is compliance with Endangered Species Act protections for polar bears. According to the Bureau of Land Management, the agency will make a decision on the application by July. ASRC released a statement in response to the Washington Post’s reporting criticizing it for inaccuracies, “whether intentional or inadvertent,” although the corporation did not specify what in the article was incorrect. This story has been updated to include a statement from ASRC.